I have a question regarding the vcore reading in hwinfo. 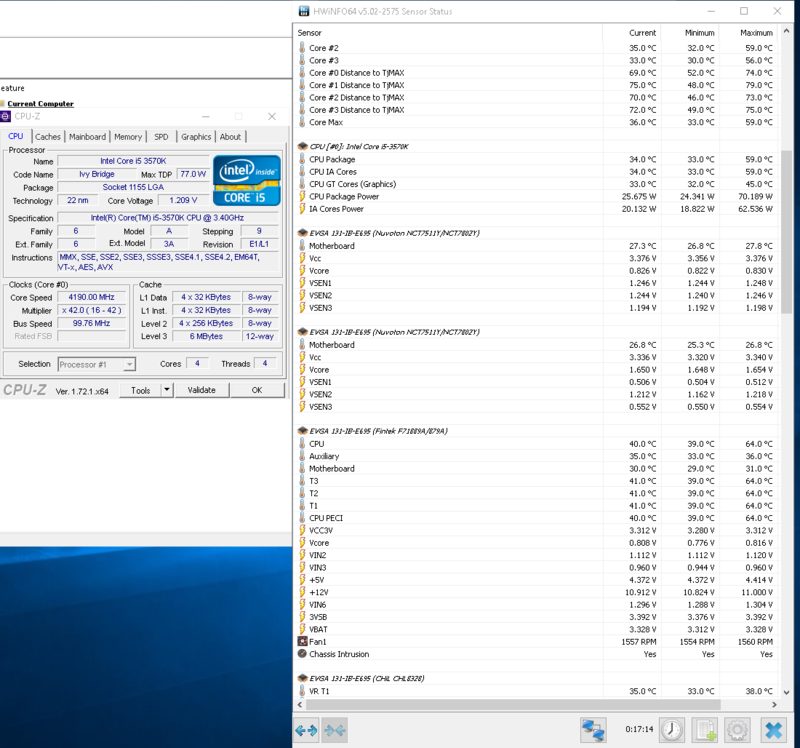 Both cpuz and hwmonitor show the same values for vcore, but hwinfo says the vcore is much higher. Here is a screen shot showing the difference between cpuz and hwinfo. I would also like to know what vsen2 is. That value seems to be the closest to the vcore value from the other software, and seems to fluctuate consistently with the vcore values of the other software. This is my first time overclocking so any help with this is appreciated. HWiNFO doesn't have dedicated sensor support for your mainboard model, that's why some of the values are not correct. (08-01-2015, 08:59 PM)Martin Wrote: HWiNFO doesn't have dedicated sensor support for your mainboard model, that's why some of the values are not correct.